Neu-Isenburg, Germany, September 13, 2018 – SPIRIANT, a leading airline-equipment provider is pleased to announce that its innovative waste-management solutions has taken to the skies with LATAM, the largest carrier in South America. The first of its kind, the highly functional concept saves space onboard with efficiency and cleanliness thanks to its design. 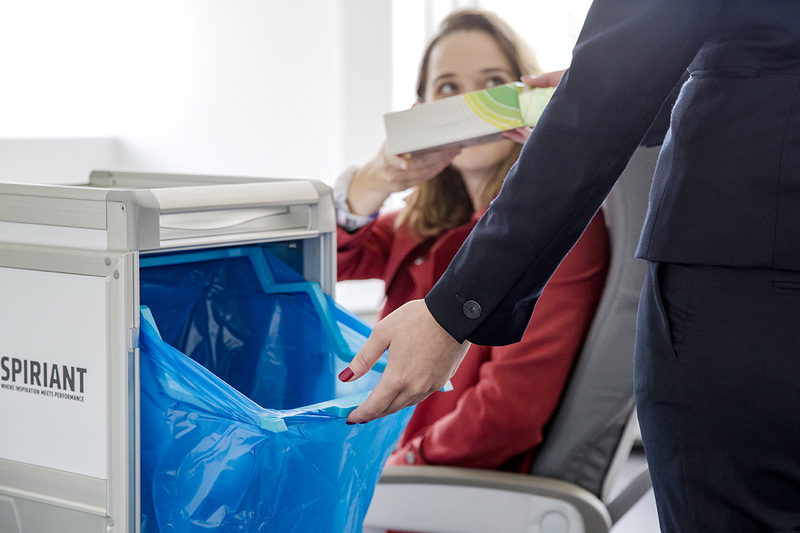 Focusing on responsible waste management, it improves workflow for the crew and promotes a clean environment for passengers. The sleek design consists of a waste-bag holder and foldable drawer that allow for quick and easy access and effective disposal. The concept will be implemented in the airline’s economy class galleys of long-haul flights lasting over seven hours. SPIRIANT looks forward to continuing its successful relationship with LATAM and watching the progress of its waste-bag solution in the skies.